Hope of Glory True Church History | True Church of God in Christ, Inc.
Elder Vista Jeffries started in the ministry in 1994 under the leadership of Bishop B. J. Lawson. Although he was a novice in the ministry, his desire and ambition was to travel to Tennessee. 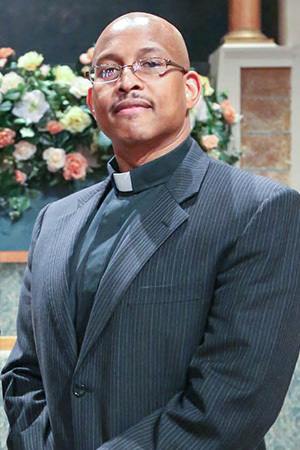 He did not publicize this desire therefore Bishop Lawson appointed him to assist Elder Jeffries at St. James in Lithonia, GA. Through the process of assisting, Tennessee was no longer on his mind. Even though he was assisting Elder Jeffries, he still had a desire to travel. Minister Jeffries brother, Terry Jeffries was in the military stationed in Meridian, Mississippi. His brother gave him permission to hold bible class in his home every other Saturday. 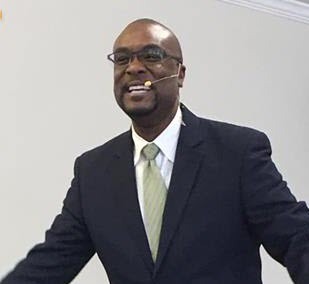 Minister Jeffries was not experienced in the field and he wanted to desperately be effective, therefore he asked for guidance from an experienced man of God, Bishop B. J. Lawson. In 1999, Bishop Lawson informed him that Chattanooga, Tennessee was a better place for a mission. The classes in Mississippi ceased. Bishop Lawson and Minister Vista Jeffries traveled to Tennessee searching for a place to deliver the word. They located a radio station WNOO, 1260AM and began a broadcast every Thursday and Friday from 1:45PM – 2:00PM and every Saturday from 12NOON to 12:15PM. The Lord blessed and they received 15 extra minutes on Saturday changing the broadcast time to 12 NOON until 12:30PM. The response was good and they decided to search for a place to worship. They convened at several locations: An office on Pine Grove Trail, Kings Lodge Hotel, and a park in the East Lake Community. After much searching and traveling we are currently located at 2103 East 25th Street Place that has been purchased and converted into a nice place to worship. We held our dedication service on June 17, 2006. We now hold services on Wednesday night at 7:30PM and Sunday Morning at 10:30AM and 11:30AM. We are receiving many visitors. We are few in number right now, which coincide with the scripture, the way that leadeth to life few there be that find it. We are striving to help many hear the call of the Lord for many are called but few chosen. Our standard is of the Apostles, Prophets, and the Lord Himself, which is not popular with the world. The Lord will add to His church, in due time, such as should be saved.